Healthy Smoothies and their benefits. on the right track with your eating habits but you want new ideas to supplement a healthy diet. give me that extra boost I need. It, especially, came in handy when I had some dental work done. best way to have some of my favorite fruits and vegetables was by drinking smoothies. juices, vegetable juice, milk, or yogurt. Many health-conscious people, like myself, are always raving about them. It's easy to confuse smoothies with milk shakes, which consists mostly of ice cream and processed sugar. 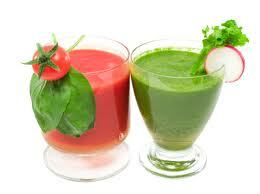 Smoothies only consists of all natural non-processed ingredients like fruits and vegetables. You don't need to add sugar or dairy products. I remember several years ago, I started juicing to boost my energy. You get the juice by extracting only the liquid of fruits and vegetables into a container. But that's all you get, is juice. You don't get the roughage that provides additional health benefits. Smoothies have a higher nutritional value than just juicing along because it includes the skin, which adds much needed fiber to your diet. Which is Better? Green or Fruit Smoothies? weight. Because most American adults don't like eating vegetables, we achieve only half the recommended daily fiber intake, which is 25 to 38 grams. produce instead of drinking it. I agree. But most people don't get their recommended daily fruits and veggies. So drinking home-made smoothies is a lot better than not getting any at all. Personally, I prefer predominantly vegetable-based blends because they are a healthier choice. Vegetables are high in potassium so it can help lower your blood pressure. Fruit smoothies are good but I have to be mindful of my sugar intake. 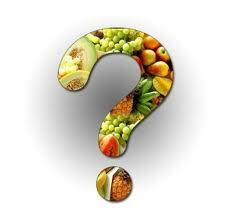 Fruits tend to have a lot of sugar and contain carbohydrates - more than veggies. that's something to keep in mind. However, I do like to blend a little fruits into my green smoothie just to give it some taste. I know that sounds strange. But trust me you can't tell the difference. I remember adding a half-cup of grapes to my green smoothie, which contained Kale and Spinach. I was surprised when I couldn't even taste the kale or spinach. TIP: To avoid a buildup of alkaloids (compounds that can cause mild/unpleasant stomach aches) try rotating the greens in your smoothies. It's good idea to switch up greens by choosing vegetables that are in season. Did you know that drinking smoothies can, also, help you with hooping? They are the perfect combination to staying healthy. Most people don't realize what they put into their body can and will make a big difference in their ability to hoop effectively. This is true with any exercise regimen, if you ask me. vital nutrients, which is what the body needs to stay healthy and energized. 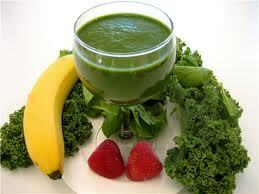 Smoothies boost's your immune system and relieve physical & emotional stress. You will have a decrease in craving for unhealthy foods. I have found that the energy I get from drinking smoothies increases my desire to hoop longer and more often. Not only that, I noticed my hair started to grow a lot faster and my skin is a lot better than ever before.